Emily Ballew has been a part of the JustBreastImplants.com forum since 2012. As a researcher at heart, she has investigated breast augmentations since the late 1990s and continues to do so to stay up-to-date with the latest trends in augmentations. She loves assisting other women going through their own plastic surgery journey on a more personal level since she's been through the process herself. When Can You Exercise After Breast Augmentation? Determined to exercise after breast augmentation? Find out when and how you can do so safely. 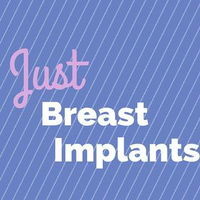 Big Implants: Are You Prepared for These Problems? Before you get your large implants, stop for a minute and ask yourself whether you're ready to deal with these big problems. What Happens if You Have a Leaking Breast Implant? How do you know if your implant has ruptured? (A scary thought!) Learn the signs of a leaking or ruptured implant and how this (rare) issue is treated. You have so many questions about breast augmentation recovery; it's easy to forget some. Get answers to the 7 most overlooked post-breast augmentation care questions. Saline and silicone breast implants—which to choose? Here are the 8 most important questions to ask yourself if you're stuck deciding on silicone vs saline. Ready to exercise after breast augmentation? Before you do, discover the 8 ingredients your post-breast augmentation sports bra should have. Breast implants have a shelf life. Learn how long breast implants last and discover tips that may help you extend their life passed the average lifespan.